This post is sponsored by LivRelief. As always, all opinions are 100% mine. Enjoying life’s activities while suffering with pain can be a challenge. Fortunately there’s a topical pain reliever that can help. LivRelief is a fast acting, long lasting pain reliever that blocks five pain pathways to help to ease your suffering. My husband Art and I are empty-nesters now. I have been sharing some of our adventures and challenges on the blog lately. We have been making time to get to know each other again in this new season of life and we have both found hobbies that we really enjoy. 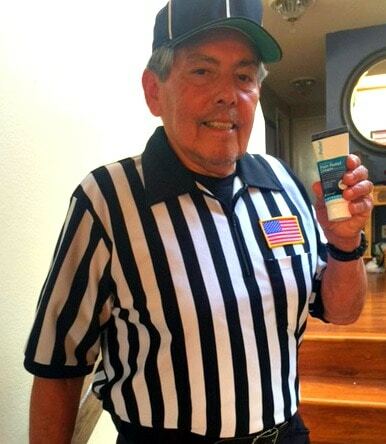 When I was offered the opportunity to try LivRelief Topical Pain Reliever , I knew this would be perfect for him. LivRelief is a patent-pending topical pain reliever that uses Delivra to deliver its pain relief ingredients through the layers of skin, subcutaneous tissue and muscle to the source of the pain. 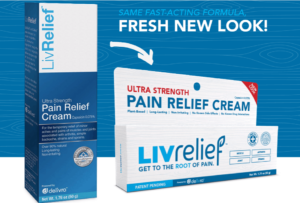 LivRelief is different from other topical over the counter pain-relief treatments on the market today because it’s made with more than 90% natural ingredients. The active ingredient Capsaican has antioxidant, anti-viral, anti-allergenic, anti-carcinogenic and anti-inflammatory properties is found naturally in hot peppers. Not only is LivRelief made with mostly natural ingredients, but it’s also paraben-free, petroleum-free, gluten-free, and free of Sodium Lauryl Sulfate and propylene glycol. With LivRelief, you don’t have to worry about the burning or tingling sensation that you can get with other topical pain relievers. Since it has a pleasant, faint fragrance instead of the typical menthol smell, you can use it whenever you need it without anyone else knowing. 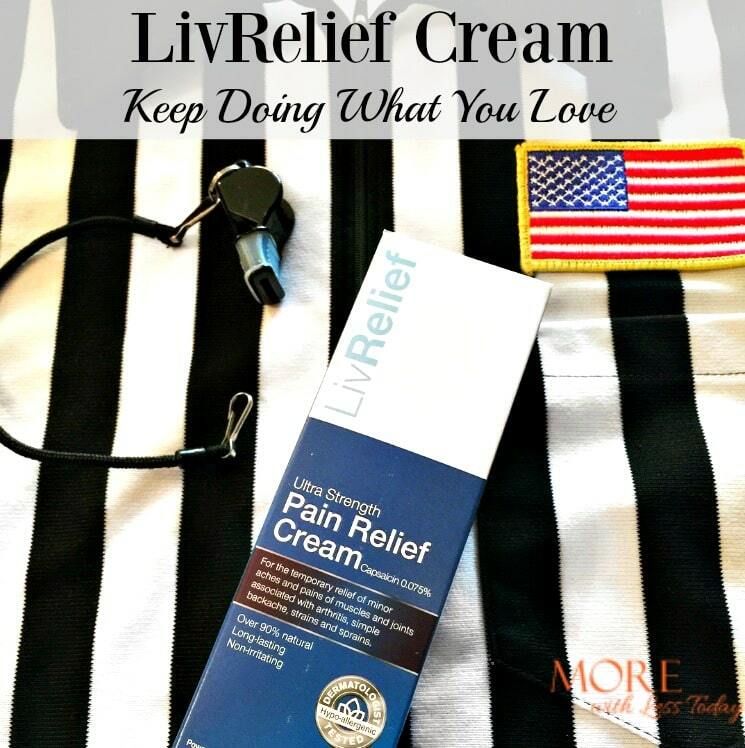 Try LivRelief Topical Pain Reliever so you can keep doing what you love. It’s conveniently available on Amazon.com. Buy LivRelief now and receive $2 off your purchase when you use promo code ONU56TLN during checkout on Amazon.com. The coupon and promo code are valid until 11/1/16 at 11:59PM PT. Follow along on social media using #TryLivRelief. LivRelief sounds great! I’ve always been a fan of topical pain remedies, but some of them stink so bad, and they BURN. Thanks for sharing this. I must try LivRelief for those aches and pains. I have tried other brands but they provide relief for only a short period of time. Thanks for your review of the product. Checking it out on Amazon now. I really want to find this for my husband. He is always in pain from work and working out. Sounds like a good product to try. This sounds like something I could get for my husband. He lifts weights often, and his job requires him to lift heavy stuff as well. This would be great for him! I think my dad could use this. He complains of achy muscles after working out. I want to get this for him. This sounds like a great product!! I suffer knee pain from time to time and would love to try it also! Wow this stuff seems like a miracle worker! What an amazing idea and it’s great to know that it really does help. I think it’d be great especially in the summer when activities are ramped up! I love that it’s made of mostly natural ingredients. Since I experience knee pain every now and then, I’ll have to keep this brand in mind. Thank you for the heads up! This sounds like a real remedy! I like the fact that it does not have a strong odor or that tingling and burning sensation after application! Great product! I so need to get this for my cousin! I feel so sorry for her when she complains about the pain. LivRelief sounds great! I sometimes use topical pain relievers myself when back aches and muscle pains attacks. I love that this is made of primarily natural ingredients. LivRelief sounds like a really awesome product! My knees are starting to hurt. This sounds like a product I need to try. I like using things that people have used and can recommend.